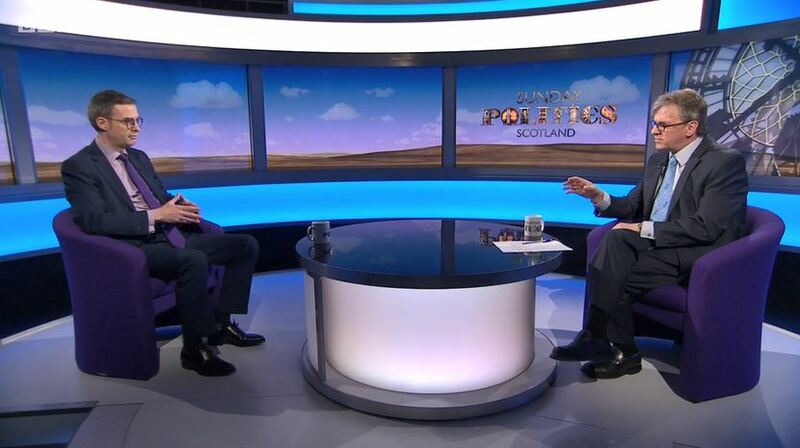 Sunday Politics Scotland on BBC One Scotland this week looked at the crisis in the Crofting Commission. Now Chaos on the Croft. The body responsible for protecting and regulating Scotland’s crofting is embroiled in some dramatic internal politics of its own. As Len Cooksley reports pressure is increasing on the head of the Crofting Commission to resign after the Scottish Government became involved. Scotland has nearly 20,000 crofts overseen by the Crofting Commission. After suspending two local grazing committees on Lewis on the grounds of financial missmanagement it was forced into a u-turn. There were claims the commission were both heavy handed and may have acted illegally. Now the Scottish Government’s got involved. It called on the commission and its convener, Colin Kennedy, to apologise. Last week Mr Kennedy walked out of a commissioners meeting. Those that remained issued that apology and then passed a vote of no confidence in Mr Kennedy. The First Minister gave her take on events in parliament earlier this week. MSPs are watching developments with interest. We understand Mr Kennedy has no plans to resign but would make no further comment. The implication is clear: either he jumps or he’ll be pushed. 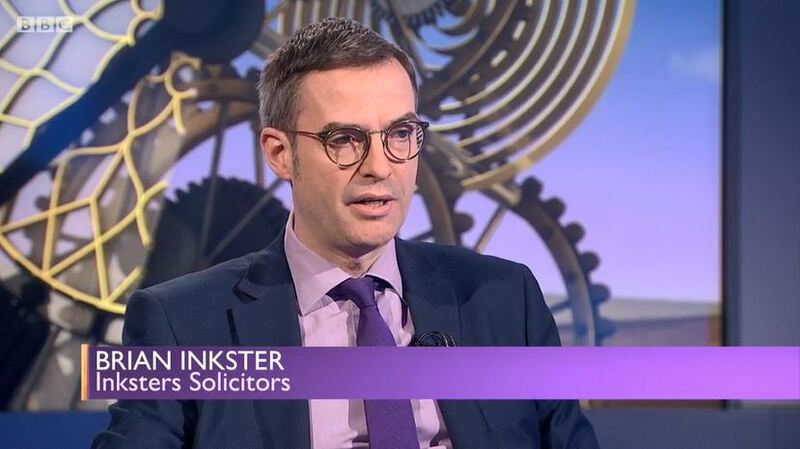 Well earlier I spoke to Brian Inkster who is a lawyer and blogger specialising in crofting matters. Well the crofting commissioners have no confidence in their leader. He won’t resign and the Scottish Government is threatening to get involved. What on earth is going on? Well it all goes back to December time last year when they decided to put out of office a grazings committee in Lewis. The first one was Mangersta and then subsequently into 2016 they put out two other grazings committees: one in Upper Coll and the other in Lochaber. Right but what I don’t understand is that Mr Kenedy the man who is the commissioner is accused of issuing edicts on things like payments over common grazings and peoples backs are up about this. But how can he do that surely the commissioners have to decide to do this. Well the commissioners should be deciding to do it. It looks as though he has been instrumental in pushing these issues forward. There were three sort of main issues I suppose. The first one was payment by grazings committees to shareholders in common grazings of monies that had come into grazings funds. His argument was that these monies had to be paid out immediately. So there would be immediate payment to the shareholders and if monies were required back to maintain the common grazings they would issue a levy onto the shareholders. Nowhere in the law did it say that these immediate payments had to be made and indeed it just didn’t make any kind of logical or common sense approach to deal with it in that way. Subsequently there were two other issues. One was that he was seeking to stop common grazings committees receiving SRDP funding – which is really grants from the governmnet to assist in the maintenace and improvement of the common grazings. And latterly there was an issue around VAT registration where it was being said that common grazings could not be VAT registered whereas historically they always have been. Right, now, what happened? At some point the commissioners had a vote of no confidence. That was just over a week ago in Brora. That was on the back of Colin Kennedy walking out of a meeting. He closed the meeting and walked out on the basis that the commissioner for the Western Isles said he was no longer declaring an interest in the Western Isles cases which he had previously done and was now wanting to vote on any issues concerning the Western Isles. On the face of it you would think that if the commissioners have no confidence in him he has to go but he doesn’t does he because he was elected? He was elected and there is nothing in the law that says if the commissioners have a vote of no confidence he must go. One would imagine that if all the commissioners are against you, if the Scottish Crofting Federation, NFU Scotland, MSPs across all cross parties and the press are all saying it’s time to go you would think what is the point of clinging on here. The Scottish Government has threatened to become involved. What can they do? In terms of the Crofters (Scotland) Act 1993, Scottish Ministers have the power if they consider that a commissioner is unable or unfit to exercise the functions of a member or unsuitable to continue as a member they can then remove a member from office. Now, Brian Inkster, just to give us a little sense of what the background to this is because it is quite complicated. But is the issue underlying all this the use of land and the fact, for example, wind farms wants to come in or housing wants to come in and it is about whether the common ground is allocated to the community the funds from it or to individuals. It is linked to the funds that come into a common grazings. On a common grazings, especially as you mentioned wind farming, so in recent times the potential for larger sums of money to come into a common grazings exists. And it is linked to the distribution of those monies and there was an insistance on the part of the convener that those monies had to be paid out as soon as it was received. That there was no ability to hold onto the money to use it to spend on improvements within the common grazings. 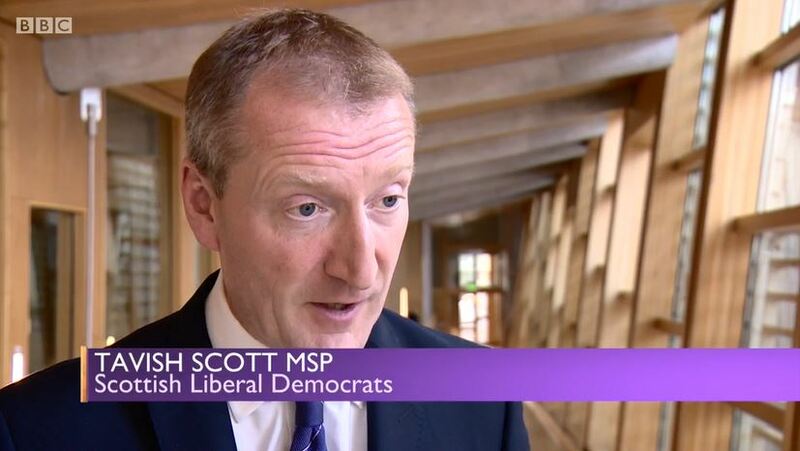 The Scottish Government said that was not the correct view in law. Alright, we will have to leave it there. Brian Inkster thank you very much indeed for joining us. Well earlier I spoke to Colin Kennedy. He is the Crofting Commission boss who is in the middle of all of this controversy. I spoke to him on the telephone from Coll. Are you going to stay in the post? As matters stand, I believe the commission have acted wholly within the law at all times and until such times as we have legal advice to the contrary, I will maintain my position. But the Scottish Government has said it has the power to get involved. If they do get involved and say you have to go you will have to go won’t you? That will be the case, yes. So just to be clear on that. If the Scottish Government says look given that your commissioners have voted no confidence in you we don’t think you can stay in post you will have to resign. Why are you so determined? You walked out of the meeting didn’t you, the other week? Why have you fallen out with all of the commissioners? No I didn’t walk out of a meeting. I formally declared the meeting closed in light of an advancement by a commissioner supported by the deputy accountable officer that they had obtained information from the standards commission which I requested sight of prior to determination which failed to materialise. Accordingly given the nature of the business at hand I had no alternative other than to formally close the September meeting of the Crofting Commission prior to my departure. Okay, but the commissioners have said they no longer have any confidence in you. Which is not brilliant from your point of view is it? I am unaware of the commissioners having said they have no confidence in me. You are not aware of that? So as far as you are concerned what? The Crofting Commission is carrying on its work as per normal? Well I would suggest at this moment in time that the Crofting Commission conducted a meeting on 28th September which is in non compliance or in accordance with the standing orders of the Crofting Commission and therefore it would appear in my view to be ultra vires. So right. If they still have confidence in you why would they do that? I couldn’t comment on what they do at informally constituted meetings. So right. You think that they still have confidence in you but that they have held an ultra vires meeting without you for reasons that are inexplicable? The substance of this is about you, they allege, that you made various determinations about things like payments in the form of edicts – that they weren’t really consulted. At no time under my leadership have any decisions been taken without full endorsement of the board and based on legal advice. And if I could comment prior to those decisions as per the board minute of 15 September 2015, prior to taking any of those decisions a formal request was made to the Chief Executive to obtain legal advice to support the papers presented to the board on which the board took the decisions. Alright Colin Kennedy we have to leave it. Thank you very much for joining us. This entry was posted in Common Grazings, Crofting Commission and tagged apologise, Brian Inkster, Brora, Chaos on the Croft, Colin Kennedy, common grazings shareholders, Convener of Crofting Commission, Crofters (Scotland) Act 1993, crofting blogger, Crofting Commission, Crofting Commission Board, Crofting Commissioners, crofting lawyer, declaration of interest, Deputy Accountable Officer, First Minister, Gordon Brewer, Grazings Committee, immediately, Inksters Solicitors, Isle of Coll, Isle of Lewis, Len Cooksley, levy, Lewis, Lochaber, Mangersta, Mangersta Common Grazings Committee, MSPs, NFU Scotland, Nicola Sturgeon, Nicola Sturgeon MSP, no confidence, resign, Scottish Crofting Federation, Scottish Government, Scottish Ministers, shareholders in the common grazings, SRDP, SRDP funding, Sunday Politics Scotland, Tavish Scott, Tavish Scott MSP, ultra vires, Upper Coll, Upper Coll Common Grazings Committee, VAT, VAT registered, vote of no confidence, Western Isles, wind farms on October 10, 2016 by Brian Inkster. Yesterday we heard that the Convener of the Crofting Commission, Colin Kennedy, had told the BBC that he had no plans to resign. I am currently taking legal advice and it is inappropriate for me to comment at this stage. All I will say is that, despite all the flak, I am staying in my position as convener, and not resigning. In the past week Mr Kennedy has provided statements to The Herald, BBC and The Scottish Farmer asserting that he is going nowhere. That appears to be many more statements than he has ever made to the press as convener on behalf of the Crofting Commission in over a year in that position. With no support from fellow commissioners, the Scottish Crofting Federation, National Farmers Union Scotland, MSPs of all political persuasions, the press and the vast majority of crofters it would appear very clear that he no longer has a mandate to continue in that position. All the legal advice in the world won’t change that simple fact. This entry was posted in Common Grazings, Crofting Commission and tagged BBC, Colin Kennedy, Convener of Crofting Commission, crofters, Crofting Commission, Crofting Commissioners, legal advice, MSPs, NFU Scotland, resign, resignation, Scottish Crofting Federation, The Herald, The Scottish Farmer on October 8, 2016 by Brian Inkster. 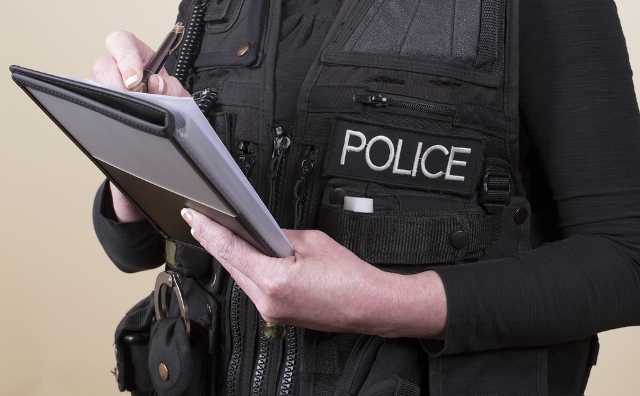 The ‘Grazings Constable’ was under the false impression that he was a Police Constable come Court Reporter! One of the more surprising episodes of ‘The Common Clearances‘ has been the issuing of press releases by the ‘Grazing Constable’ (illegally appointed, in my opinion and the opinion of others) of the Upper Coll Common Grazings. To my knowledge that ‘Grazings Constable’, Colin Souter, has issued three such press releases to date. I now reproduce those here, with my comments on each added. I write briefly in connection with the Common Grazings at Upper Coll, having been appointed as Constable in recent weeks, by the Crofting Commission. I should firstly stress such appointees are independent of the Commission. One of the main functions is to assume the role and responsibilities of the former Committee, representing the interests of the Crofters, whilst moving as swiftly as possible back to a situation of normality, with crofters being collectively in control of managing their own interests. I am confident readers will appreciate the resolution to current difficulties will not be achieved overnight. I note there has been much interest, speculation and comment made on behalf of individuals who, I acknowledge, feel genuinely aggrieved with decisions the Commission has made. On the other hand, it is only right and proper that the Commission, as a public body, should not comment on the specifics of any individual case. Preliminary legal proceedings are currently underway at the Scottish Land Court, where it remains to be decided if the Appeal against Commission decisions will progress to the next stage. An Interim Interdict application at Inverness Sheriff Court to prevent the appointment of a Constable and further action by the Commission, was heard and refused. It is likely that the process of the Land Court Appeal, if progressed, will take some considerable time to conclude. I will not be formally commenting in the media on the specifics of matters at Upper Coll, nor in relation to any single individual. I do however wish to publicly acknowledge and thank those individuals at Upper Coll and elsewhere who have already contacted me since my appointment, to firstly share a collective view that there are matters at Upper Coll which need to be addressed and secondly to voice their support for a co-operative resolution over the coming weeks and months. All impartial observers must surely agree it is in the best interests of all parties to co-operate, to ensure the interests of all the crofters at Upper Coll are and continue to be properly protected. Why, I wonder, did Colin Souter feel it necessary to issue such a statement? Was it because the Crofting Commission were staying silent on the matter? Did they sanction/encourage this statement? How independent can Colin Souter really be? Did the Crofting Commission not provide him with a list of their ‘concerns’ for his investigation? He has apparently stated to the shareholders at Upper Coll that his role is an investigative one. Nothing in the Crofters (Scotland) Act 1993 gives him such power other than, perhaps, the duty to report to the Crofting Commission on the condition of the Common Grazings and crofts with a share in the Common Grazings. If investigations were required concerning any alleged financial impropriety on the part of the former grazings committee that would have been a role for the actual boys in blue and not for a retired police Chief Inspector who appears to think he, once more, has powers he once did. He does not. If legally appointed, which is disputed, Colin Souter simply has to take on the role of committee and clerk. He is responsible to the shareholders. His role is purely administrative. On the evening of 22 June the Constable of the Upper Coll Common Grazings chaired a meeting of shareholders at Tong Village Hall. The meeting, which was well attended, discussed a number of issues and during the closed part of the meeting, the Constable, Mr Colin Souter shared a level of detail around issues and concerns which was clearly unknown to many of those present, prior to the meeting. Mr Souter, a retired police Chief Inspector explained to the meeting that his appointment followed a communication to the Commission by the former Clerk to the Grazing, highlighting that 12 points of business needed to be addressed as soon as possible. Mr Souter also explained that the Crofting Commission, as a public body, is unable to comment in the media on issues relating to specific individuals and their conduct but that being independent of the Commission, it was appropriate for him to share more information with the shareholders affected. At the meeting, he received further joint intimation in writing from Upper Coll shareholders, of their dissatisfaction with the conduct of the former Committee and will determine in due course whether that should be considered separately from other matters currently under investigation. The meeting acknowledged the current position as laid out and discussed a constructive way forward, with a revised set of draft local Grazing Regulations being circulated by the Constable to all shareholders at Upper Coll to replace the current Regulations which date back to 1987. Mr Souter is also inviting contributions and comment more widely, from the Scottish Crofting Federation and National Farmers Union Scotland, as representative bodies, in an effort to secure a wide consensus of agreement. He intimated to the meeting that he was, very reluctantly, being forced to consider Court action as a last resort, in order to recover the Committee records from the former Grazings Clerk. A large number of those shareholders present expressed the view that withholding the records was not helping, declaring that it was acting against the interests of the shareholders and instead invited former Committee members to bear the cost of the Court action, should it go ahead. The meeting closed on a positive note with an expression of thanks to Mr Souter, from the floor, for an open, informative and well-run meeting. Note to Editor – the Upper Coll Grazings Committee was removed from office by the Crofting Commission on 15 April after failing to adequately address concerns raised by the Crofting Commission about the manner in which aspects of its business were being conducted, including the content and presentation of financial information reported to shareholders. On 16 May, some former committee members made an unsuccessful attempt to interdict the Crofting Commission from further action at Upper Coll. This was followed by submission of papers to the Scottish Land Court, seeking to Appeal against the Commission’s decision to remove them from office. The Land Court is currently awaiting submissions on jurisdiction from both sides, to help determine whether it can hear the Appeal. If the jurisdiction argument is won, the case will become sub judice until eventually concluded. I wonder if Mr Souter thinks that all grazings clerks should be issuing press releases about shareholders meetings held throughout the crofting counties? Local newspapers could have sections devoted to ‘Common Grazings Reports’ instead of, or in addition to, their usual ‘Court Reports’! Where did the “issues and concerns” that Mr Souter had to share come from? I trust not from the Crofting Commission that he is apparently independent of? Interesting that the Crofting Commission cannot comment on matters arising to the media but Mr Souter can. Has he therefore become their spokesman and if so how does that enable him to retain the supposed independence that he claims to have? Mr Souter refers to “matters currently under investigation”. As commented on by me in connection with his first Report, his role is not an investigative one but merely an administrative one and then only if his appointment was legal which I, and others, maintain it is not. Why was Mr Souter circulating new Grazings Regulations and who had drafted them and on what basis? It would seem unusual for a Grazings Clerk to seek views from the Scottish Crofting Federation or the National Farmers Union Scotland on Grazings Regulations specific to a particular grazings. Court action by a potentially illegally appointed ‘Grazings Constable’ to recover documentation he might have no right to hold would have made for interesting debate in the Sheriff Court! A suggestion that those against whom such an action was to be raised should fund the raising of the action is absurd to say the least. Why is the election of a new Grazings Committee in the distance? What is preventing that happening sooner rather than later? Is it perhaps in Mr Souter’s personal interest to delay the election of a new Grazings Committee. The longer he remains in ‘office‘ the longer he receives an income from the arrangement – albeit potentially an illegal arrangement that he should not actually be receiving a penny for. However, the only reason actually given by the Crofting Commission for the ultimate removal from office of the grazings committee was the failure to produce to them five years ‘audited’ accounts. The grazings committee produced financial statements produced by accountants. The irrationality, inconsistency and departure from legal advice obtained by the Crofting Commission on this point is one I will return to in future posts on this blog. Upper Coll shareholders met again on 11 July at a meeting chaired by the Grazings Constable, Colin Souter, who was appointed by the Crofting Commission in May. At this second meeting, shareholders covered a busy Agenda on a range of topics, including the resolution of a long-standing issue on the access of a bull owned by two shareholders, on the common grazings. Shareholders accepted the pragmatic resolution suggested by the Constable, which preserves shareholders rights to graze livestock but at the same time, acknowledges the responsibilities that go with these rights. Shareholders also voted in favour of a revised set of Grazing Regulations which would encompass key elements of the previous regulations which dated back to 1987. Mr Souter hoped the final draft of the document which had already been subject to wide-ranging consultation would be ready to send to the Crofting Commission for approval, in the next few weeks. During a candid and honest discussion, some of those present, including former Committee members advised they had been entirely unaware of the existence of the 1987 Regulations. 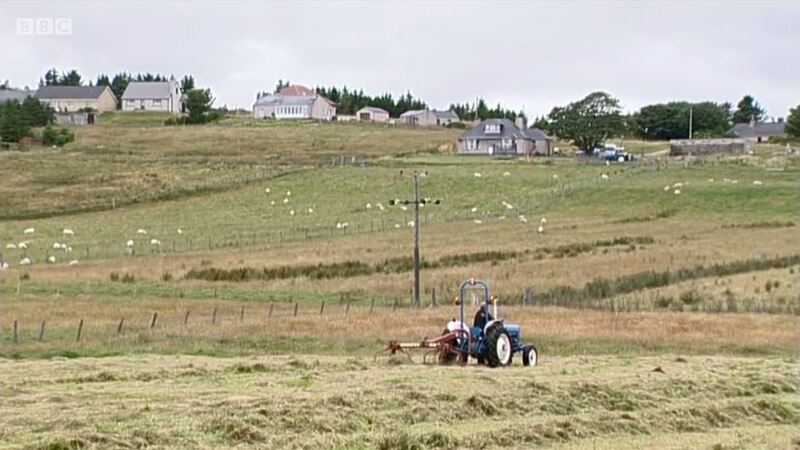 A number of other issues, including finances and areas of activity permissible for a Grazings Committee or Constable on behalf of shareholders, under the 1993 Crofting Act were explored in a closed session. No date was set for the next meeting, with Mr Souter indicating he would distribute a final updated draft set of Regulations amongst all shareholders. And once approved by the Commission, every shareholder would receive a personal copy of the revised Regulations. Note – Mr Souter is a retired police Chief Inspector, appointed to the role of Constable at Upper Coll after the previous Committee were removed from office by the Crofting Commission. Following their removal, it was reported to the Commission that shareholder business remained outstanding and unresolved. Whilst he is appointed by the Commission, Mr Souter has successfully gained acceptance that he is independent of the Commission in all his decision-making. The new regs would certainly have to come before shareholders again before being submitted. There will be nothing to stop us bringing in further changes at a full meeting of shareholders at a later date if that is needed. The Grazings Regulations are at the “discussion” stage and still have much work to be done on them. There was no revised Regulations issued with no mention of changes some of us suggested. They are far from being at a stage for presenting to the Commission. The constable has thus far refused to protect the interests of shareholders by bringing any scrutiny to bear on the Commission’s own dubious actions of the recent past. This goes to prove that he is not wholly independent of the Commission and shows that he who pays the piper calls the tune. The majority of shareholders are still of the view that the position of Constable has been illegally imposed on the Upper Coll Grazings. These shareholders do not have any personal prejudice against Mr Souter but it is his position they question. 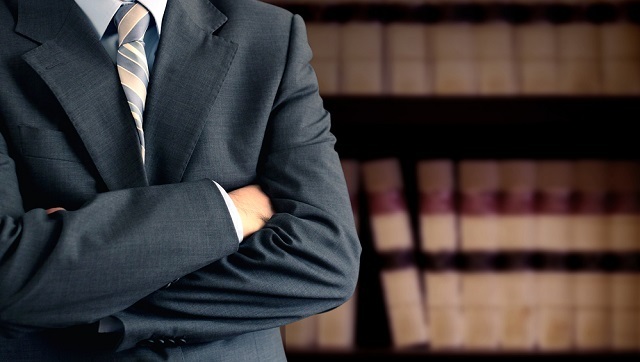 Shareholders were of the view that the Constable should be working “for” the shareholders and should therefore be working to see that some of the injustices done to the previous Committee are redressed. As he seems to be investigating the work of the previous committee then this “investigative” role should also be targeted at the Crofting Commission’s actions. The minute of meeting of the 11th should also clearly show that we considered that the Commission had erred greatly in dismissing a democratically elected voluntary committee when they had legal obligations instead to advice and support it in the first instance. We suggested that this is going to be costly to the Commission. The meaning of “audit” given by the Constable is not one shared by the vast majority of shareholders. It is felt by the majority of shareholders that the term “financial irregularities” used by the Commission in relation to the Upper Coll Grazings Committee should be withdrawn and an apology issued to the committee by the Commission. Mr Kennedy’s continued presence as Convenor of the Crofting Commission is in the opinion of the majority of shareholders untenable. So clearly a different slant on things from the propaganda issued by the ‘Grazings Constable’. This demonstrates the nonsense of the whole situation. Why is Colin Souter seeking to introduce new regulations? What is wrong with the existing ones other than perhaps the use of the word “audit”, which has caused much of the problems encountered by the former committee in their dealings with the Crofting Commission? The former grazings committee were actually in the process of amending their regulations prior to being removed from office by the Crofting Commission. Why did the Crofting Commission not allow them to amend the regulations as they wished to do so? 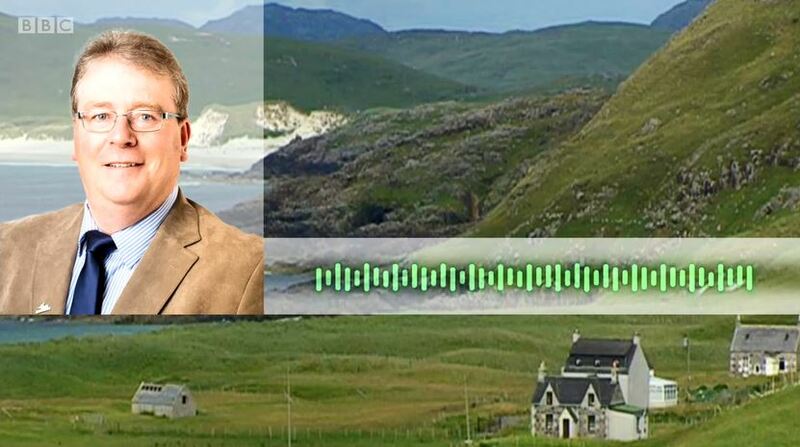 Are the Crofting Commission influencing the new regulations proposed by Colin Souter? Do these new regulations follow the latest template promoted by the Crofting Commission which do not actually reflect the law as set out in the Crofters (Scotland) Act 1993? Mr Souter refers to his “decision making”. What ability does he actually have to take decisions that are contrary to the wishes of the shareholders? No date was set for the next meeting, with Mr Souter indicating he would distribute a final updated draft set of Regulations amongst all shareholders. And once approved by the Commission, every shareholder would receive a personal copy of the revised Regulations. This suggests that Mr Souter is going to finalise the draft Grazings Regulations without necessarily calling a meeting to approve them. 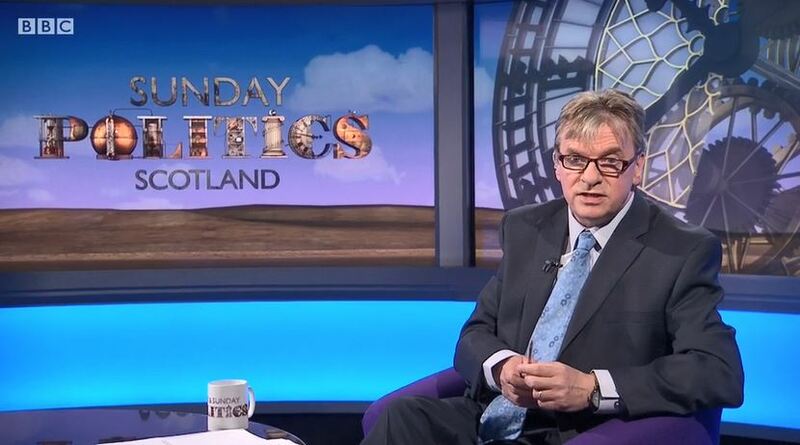 He appears to simply be planning to get the approval of the Crofting Commission. If this is indeed the case it is outrageous. However, it should always be borne in mind that Mr Souter’s appointment was, in my view and the view of others, illegal and any action taken by him is simply null and void. This entry was posted in Common Grazings, Crofting Commission and tagged appeal, audit, audited, audited accounts, Colin Kennedy, Colin Souter, Common Clearances, Common Grazings Committee, Common Grazings Regulations, common grazings shareholders, condition of the common grazings, Convener of Crofting Commission, Crofters (Scotland) Act 1993, Crofting Commission, crofting propoganda, duty to report, financial irregularities, financial management, Grazings Clerk, Grazings Constable, interim interdict, investigations, NFU Scotland, propoganda, retired Chief Inspector, Scottish Crofting Federation, Scottish Land Court, shareholders, shareholders in the common grazings, Sheriff Court, Tong Village Hall, Upper Coll Common Grazings, Upper Coll Common Grazings Committee on July 16, 2016 by Brian Inkster. 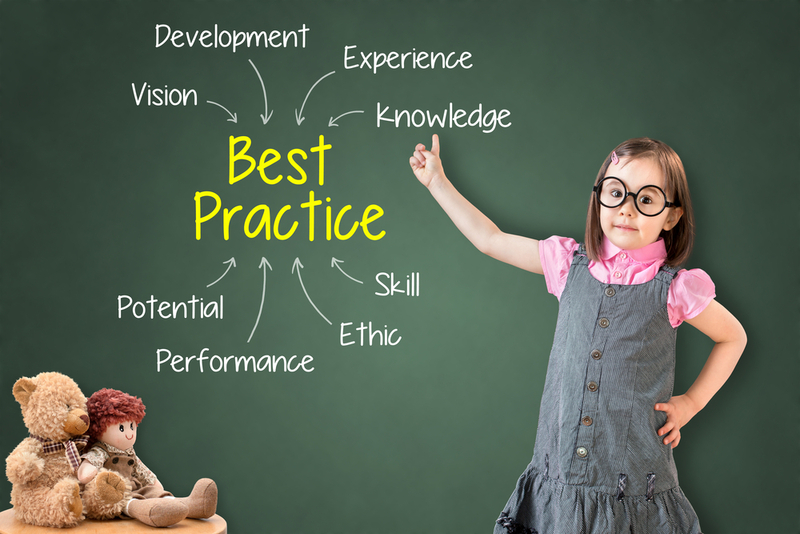 Even a five year old knows the importance of experience and knowledge when it comes to best practice! It was reported online today in Farming UK that NFU Scotland has asked the Crofting Commission to bring forward a simple guide to best practice for grazing committees. It is in the best interests of all, that any Common Grazings Committee operates with up-to-date regulations and within the law. The Crofting Commission is best placed to deliver guidance and clarification to any committee. If changes are needed, then a grazings committee meeting can be held as soon as possible, all stakeholders notified and steps taken to ensure that their grazing regulations are fit-for-purpose and up-to-date. NFUS has called on the Commission to draw up simple and accessible best practice guidance on how grazings committees should be operating – clearly mapping out what they must do, should do and could do. The Commission should then send this to all grazings committees and clerks along with the new common grazings regulations template and guidance – as available on the Commission website. The Union supports active crofters and the active use of common grazings. In order to help achieve this we believe that there are real benefits in Common Grazings being regulated and having grazing committees in office, for the benefit of the common grazing and the shareholders. The problem is that the Crofting Commission’s idea of best practice is very different from what crofters consider it to be and is also often at odds with what any sensible interpretation of the law says it is. The NFU approach is not the answer to the problem. Crofters should be very wary at the moment of any guidance and clarification issued by the Crofting Commission and should take independent legal advice thereon. It is hoped that the Scottish Crofting Federation meeting that was held in Ullapool yesterday results in more positive steps being taken that actually resolve ‘The Common Clearances’ and the alleged abuse of power within the Crofting Commission. More news on that to come. This entry was posted in Common Grazings, Crofting Commission and tagged abuse of power, Common Clearances, Common Grazings, Common Grazings Regulations, Common Grazings Regulations Guidance, Common Grazings Regulations Template, crofters, Crofting Commission, Farming UK, Grazings Committee, NFU, NFU Scotland, Sandy Murray, Scottish Crofting Federation, shareholders on May 7, 2016 by Brian Inkster.